How I came to write my fifth novel, Forest - Love, Loss and Legend. My fifth novel was being written in my head even before I put anything on paper (more precisely typed anything into my laptop). 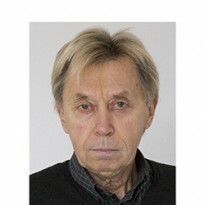 It was the residuals of past works. Left over from The Big Picture - A Camera, A Young Woman, An Uncompromising Ethic was my research into the drug war in Mexico which my heroine Freyja covered as a photo journalist. I'd also done some investigating of failed states and civil wars throughout Africa where she was going on her next assignment. Added to that was my fascination with war correspondents and how they cope with a steady diet of death, destruction, chaos and hopelessness. I also wanted to delve deeper into intimate relationships - what attracts us, what keep us engaged and what are the impediments to long lasting relationships? I'd touch on this in my previous novels with the turbulent romances between Freyja and Marty, and Freyja and Miguel in The Big Picture, and Dieter and Maggie in Not Wonder More - Mad Maggie and the Mystery of the Ancients. I wanted to explore further how different values, different cultures, timing and circumstances impact on how, who and when we fall in love - and if it lasts. This land is a place of legend and mystery and if you're born and raised here and take an interest in the wild things and wild places as I have, well, there's no end to fascinating tales with just enough substantiated fact to whet the imagination. Two of which I incorporated into this story. Here's the blurb that introduces the novel. Matthew and Raminder are young, idealistic and in love. As soon as they can they plan to leave behind the small town and small minds of Pitt Landing. They will embrace life and experience the world, maybe even change it. Man plans, God laughs. Raminder’s father has a stroke and her commitment to her family means she must postpone her plans and stay in Pitt Lake. It’s just the opposite for Matt. A family tragedy leaves irreconcilable differences between him and his father and forces him to leave. They promise to reunite, but life happens. Twelve years later, Matt is an acclaimed war correspondent. He’s seen it all and it’s left him with post-traumatic stress, a gastric ulcer, and an enlarged liver. He’s never been back to Pitt Landing though the memory of Raminder and their love has more than once kept him sane. He’s at his desk in the newsroom, recuperating from his last assignment and current hangover and reading a letter from his father, the first contact they’ve had in over a decade. It talks about a legendary lost gold mine, a map leading to it, and proof in a safety deposit box back in Pitt Lake. He’s sent it to Matt in case something happens to him and cautions his son to keep it a secret. Matt is about to dismiss the letter when the telephone rings. It’s Raminder telling him his father has disappeared somewhere in the wilderness that surrounds Pitt Lake. Lost gold, lost love and lost hope compels Matt to return home to Pitt Landing, a dying town on the edge of the rainforest on the west coast of Canada. Will he find any of these, or does something else await him? This novel also gave me an opportunity to revisit one of my central themes - the environment, specifically the protection of endangered species and forest conservation. Quite inadvertently it also turned out to be a mystery. 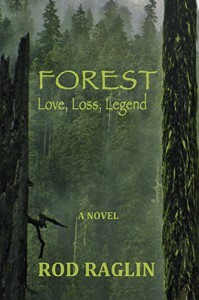 Forest - Love, Loss, Legend was released in January 2015 with no expectations. Sales have been dismal despite the handful of very flattering reviews it has garnered. Perhaps because it was told from only one point of view, Forest was easy to write. Too easy. I resolved that my next book would be more challenging in format and content.